People tend to think Golf is a lazy mans sport as it seems to be gentle stroll around the green followed by a gin at the club house. These people would be very wrong, as Golf is an extremely technical sport which needs all the skills an athlete can acquire. 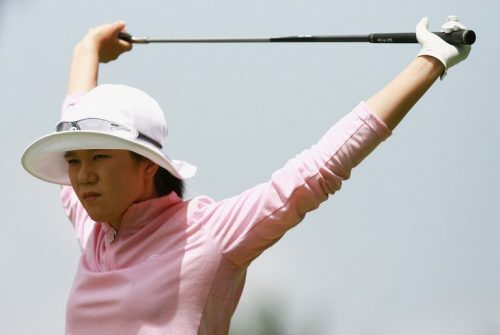 In order to get your best swing, athlete’s motor skills need to be on point in order to create the most efficient swing. Many Golfers will spend a fortune on clubs to try get their swing on form, but the truth lies in your own body. Working on gaining the required flexibility and strength in your own physique will lead to an improved swing. 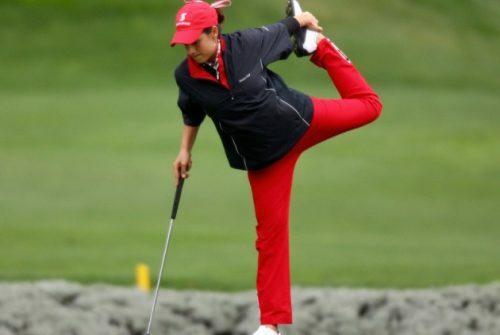 So here we discuss exercises to facilitate the perfect swing, the Holy Grail of Golf. Using these exercises will improve your swing, so you will have more to brag about instead of just your online pokies winnings. The Standing Wood Chop improves strength and flexibility of your back, hips and shoulders – so it’s a perfect exercise to improve you swing. Guide: Using a resistance band, place it under one foot, bend your knees slightly and then pull the band up and to the right over your head (it should look like you are swing an axe). Repeat this exercise 10 times, alternate sides and repeat two to three times a side. 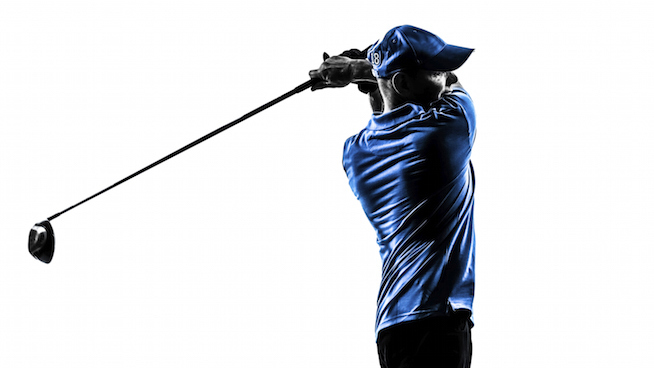 The Windscreen Wipers helps to correct any limited hip rotation an athlete might have, this correction will help put extra drive in the forward portion of a Golfers swing. Guide: Lying on your back, raise your legs off the floor, knees bent at a 90 degree angle. Place one fist between your knees, keeping your knees touching this fist part your feet repeatedly. Repeat this fifteen times, in three sets. Wall Slides will help with a golfer’s mobility in their upper back and shoulders – allowing for a smoother swing. Guide: Standing 6+ inches away from a wall, place your bottom, shoulders and head flat against the wall (do not arch your back). Place your arms at shoulder height against the wall, with the back of your hands against the wall pointing up. Slide your arms up the wall and on the downward slide pinch your shoulders in to gain further range. Repeat this fifteen times, in three sets. Using a stability ball to do this jack knife will enhance this exercise, which will improve the strength of your core, shoulders, back and hip flexors. Guide: Assume a push up position on the stability ball, with the ball placed under your feet. While ensuring your core is engaged ad stable, pull your knees to your chest. Start out by doing straight up and down Jack-knifes and work up to angling your knees out to each side as you Jack-knife. Repeat this fifteen times, in three sets. 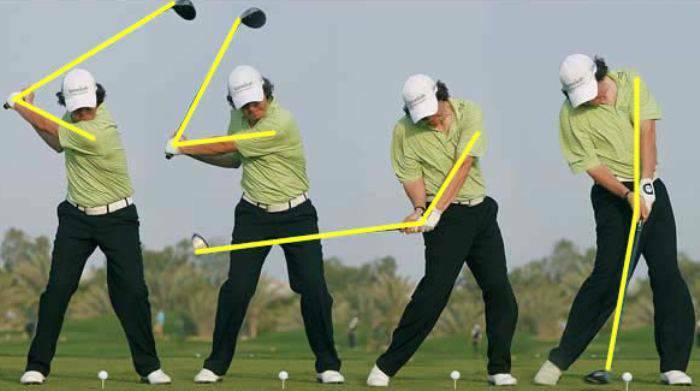 Remember that consistently doing these exercises is the only way to improve your swing!